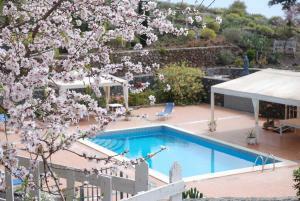 Set in the mountains of southern Tenerife, La Correa del Almendro features an outdoor pool and sun terrace with wonderful views. Rooms have balconies, flat-screen satellite TV and free Wi-Fi. This rural hotel has typical rustic design. Each room has hardwood floors and sea or mountain views. All rooms include a safe and a private bathroom. Free private parking is available at Hotel Rural La Correa del Almendro, and car rental can be arranged at the front desk. The hotel is just a 25-minute drive from Los Cristianos Beach, and 16 miles from Tenerife Sur Airport. Hotel Rural La Correa has its own restaurant, serving traditional local dishes. Guests can also enjoy barbecues on the terrace or on the grounds. The most recent booking for this hotel was made on Apr 25 at 19:37 from Netherlands. 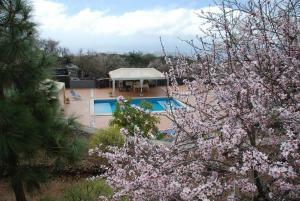 These are general hotel policies for Hotel Rural la Correa del Almendro. As they may vary per room type, please also check the room conditions. Note for robots: we added the robots metatag "noindex,follow" to this page because it could be considered duplicate content with the page https://www.booking.com/hotel/es/rural-la-correa-del-almendro.en-us.html which should be in the index.